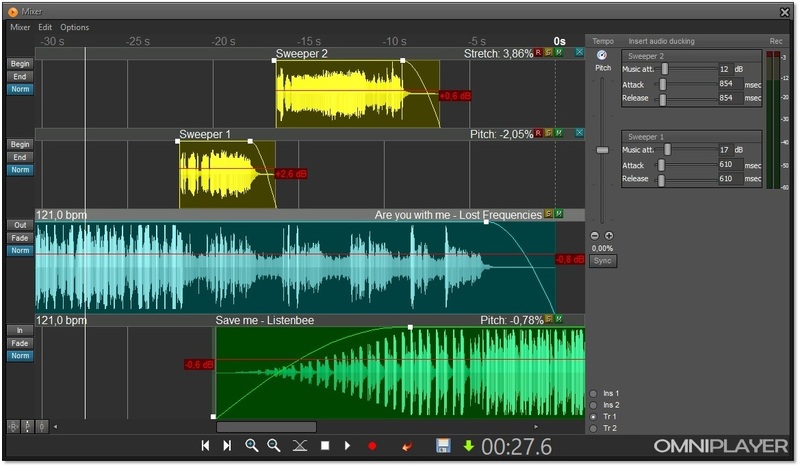 The MixEditor OmniPlayers voice tracking software for voice tracking within the LogEditor and MultiPlayer. DJ’s can listen to the outro of song 1, start their voice track recording, make their announcement and start song 2 as if it’s a live broadcast. After the recording, the segue can be adjusted and saved. A DJ can record voice tracks for a complete show in a matter of minutes.